CRISTINA A. KNORR joined MDAF as an associate in 2017. Prior to joining the firm, Ms. Knorr represented the City of New York on a wide variety of tort matters including NYPD false arrest and excessive force, premises liability, Department of Education school supervision and assault, and motor vehicle accident cases. 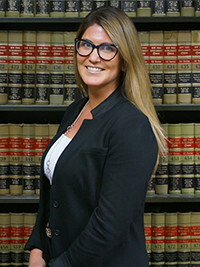 At MDAF, Ms. Knorr specializes in the defense of municipal clients in cases involving civil rights, employment discrimination and other personal injury claims. Ms. Knorr was Editor-in Chief of the Moot Court Honors Board at Touro Law School.